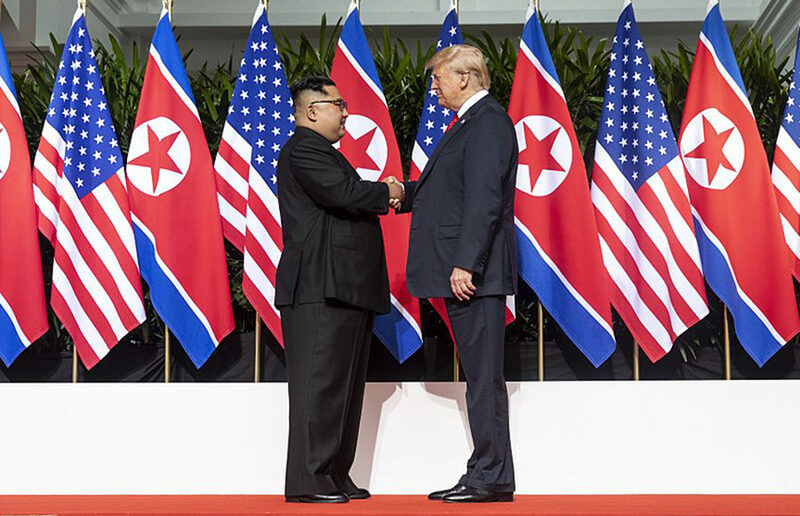 Last week, the world held its breath as Donald Trump and Kim Jong Un met in Singapore, marking the first time the leaders of their respective countries have ever convened diplomatically. While the biggest takeaway from the summit was an agreement regarding denuclearization and peace, the meeting also gave us some gems of quotes from Trump that we, as UC Berkeley students, can relate to. The context may be different, but here are some things Trump said that speak to the UC Berkeley student experience. While a campus tour guide would probably never admit this to doe-eyed high schoolers walking past Dwinelle, this is exactly what they’re thinking. Because let’s face it, Dwinelle is dirty, decrepit and confusing to navigate. And honestly, lots of other parts of campus are also not exactly pristine (we’re looking at you, VLSB bathrooms). Don’t you hate it when your professor asks you for citations in essays? We all feel like we’re above verifying our sources, because obviously, we memorized this factoid from that one Wikipedia article we stumbled across. No citations necessary. We all have that one friend who thinks they can take CS 61A, Math 1B, Chem 3B and Bio 1AL while rushing two business frats and interning in the city. But in a few months, when finals roll around, they may come to deeply regret their attempts to do it all. So when you hear a friend tell you this, just know that you knew they were wrong from the beginning. Scientifically, it takes certain periods of time to work up the motivation to work on an assignment or start studying. Or at least that’s what we tell ourselves while we’re procrastinating on Netflix. If you sit near the steps of Doe Memorial Library during the middle of spring dead week, you’re bound to hear this exact phrase come out of the mouth of one of the hundreds of soon-to-be graduates all posing for the same basic pictures. After all, these photos will be plastered over every single social media channel available, so they’d better be good! This sentiment pretty much sums up how every UC Berkeley student feels walking into a final. All-nighters in Main Stacks truly feel like the right thing to do in the moment when we feel unprepared, and even when we show up still unprepared and sleep-deprived, we will justify our questionable choices no matter what. UC Berkeley stays #relatable to everything — there really is no escaping this place.